The Mental Munition Factory: Breaking down the downgrade: distilling the message with visualizations and context. 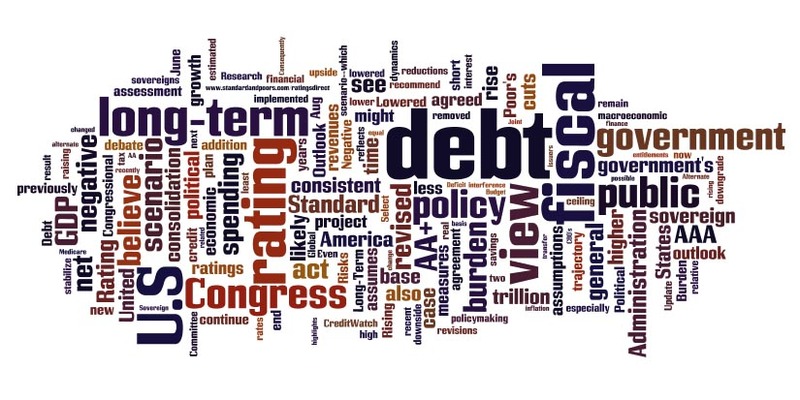 Here’s another breakdown of the “debt” theme throughout the S&P report; a word-tree that shows the relationship between “debt” and other words. Clicking on the image will open another window where you can interact with the words. But there’s another word here that yields more interesting results: political. Again, click to interact with the visualization. So what is the political background for this document? Obama adviser David Axelrod, highlighting Republican obstructionism throughout the debt-ceiling talks, on national television called the S&P action “essentially a tea party downgrade.” “The tea party brought us to the brink of default,” he said on CBS’ Face the Nation. Republican opponents seized an opportunity to grandstand and criticize the current Administration. Staffers for Mitt Romney, a forerunner in the GOP race for the presidency, told reporters that the former Massachusetts governor would attack Obama for the downgrade in a campaign speech. A prepared speech for a recent campaign stop has Romney as saying “The president’s failure to put our nation’s fiscal and economic house in order has caused a massive loss of confidence that resulted in an embarrassing downgrade,” according to CNN. However, the S&P report itself might be considered a political document; a chip played by a powerful player. Standard & Poor’s is owned by the McGraw-Hill Companies, which better known for publishing educational books and trade journals. 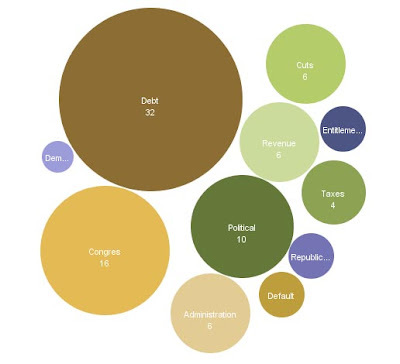 In 2010, it spent a company record of $1.65 million on lobbying, according to OpenSecrets.org. “The three major credit rating companies poised to decide whether to downgrade the nation's top-ranked debt standing are at the same time spending hundreds of thousands of dollars to lobby the Obama administration and Congress over the way the government regulates them,” the AP reported earlier in August. McGraw-Hill wrote in its annual filing for the Security and Exchange Commission in 2010 that the new requirements may cost the company money. McGraw-Hill spokespeople insist there’s a wall between the lobbying wing and the credit-rating wing of its operation. But analysts are concerned about a conflict of interest in the system, which has led some to question the credibility of S&P’s rating, and regard it as a kind of political move. Critics have pointed to S&P’s role in the housing and mortgage bubble, in which it gave high investment grades to risky, complicated financial instruments. “S&P gave investment grade rating to hundreds of billions of dollars of mortgage backed securities They received tens of millions of dollars from the investment banks for these ratings,” the economist Dean Baker wrote. The entire S&P report is available here.